Have friends or family coming to visit? Have you wanted to explore and learn more about the City yourself? Need a gift for that "difficult to buy for" person in your life? 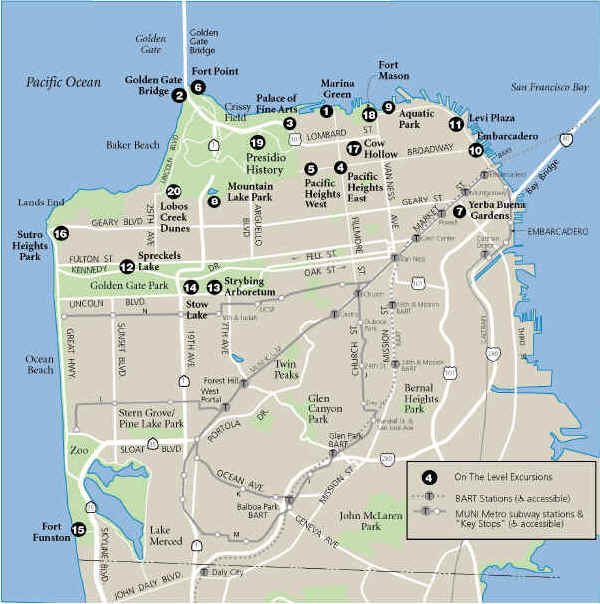 Planning a visit to San Francisco? Want to see some sights not on the maps? Contact: ON THE LEVEL for a Guided Excursion. 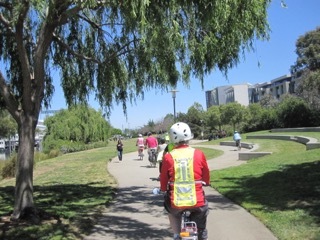 All ON THE LEVEL excursions have been tested for safety and accessibility for wheelchairs, strollers, and walkers. They have been thoroughly researched and are visited often to assess changes. I hope they will offer you only good surprises! Price: $25 per person for standard tours. Private, couple, senior, and special group rates available. Tour Route: Choose established routes or devise your own combination. We'll customize tours to suit you, including arrangements for hotel pickups and meals. A special Puzzler for the "young at heart"
Your confirmation will be e-mailed to you. This will include the meeting place of the tour, directions and my cell phone number for those last minute questions. What's New at the Presidio ?! Letterman Digital Arts Center in the Presidio is now open to the public. 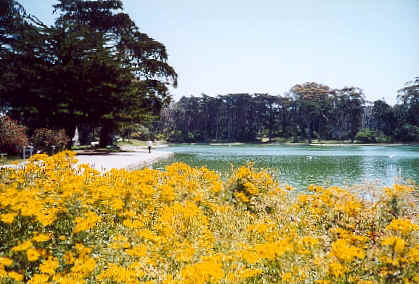 We will walk the grounds and learn the history of the Presidio as well as Lucas' plans for his "new empire". Professional walking guide Marilyn Straka will be your guide for this two hour, two mile outdoor tour (this is one in a series of her award-winning walks with no hills or steps in San Francisco!). 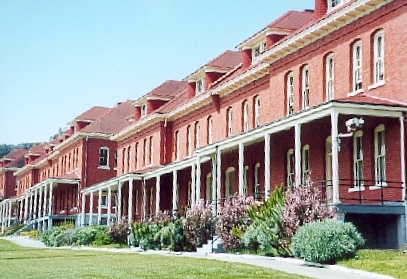 First we will circle the historic Presidio to see a wonderful mix of old Army buildings and newly renovated homes, offices and conference centers. 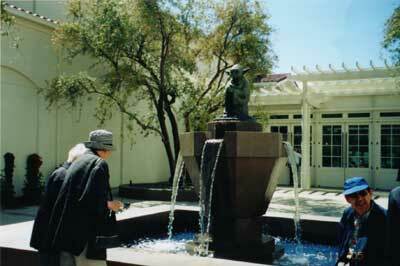 Then we will compare the old and new architecture as we continue to Lucasfilm Center. 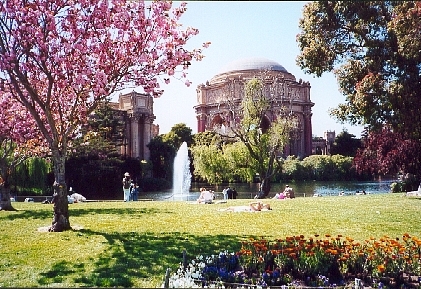 There are unparalleled views of the Palace of Fine Arts as we are surrounded by brick and stucco military-like buildings, big granite boulders, streams, and rolling green knolls. 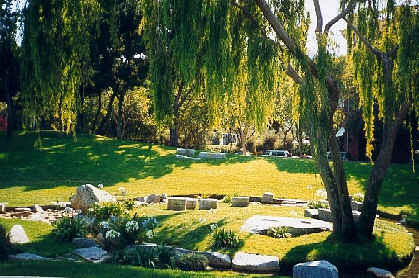 Come and experience the ambience Lawrence Halprin created for the common areas of this 23-acre office complex. The tour will continue on to explore other Presidio historic sites and some surprises. 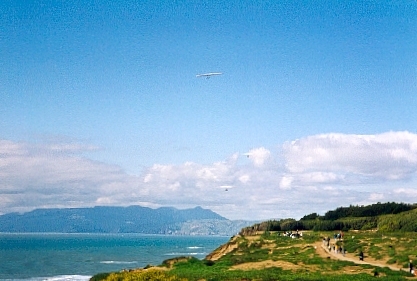 Make this YOUR Day at the Presidio. Optionally finish your tour with a snack or meal at one of the Presidio's ten restaurants (List of restaurants is available at www.presidio.gov). NOTE: LDAC lobby tour is only available on weekdays. Peeking is permitted on weekends. 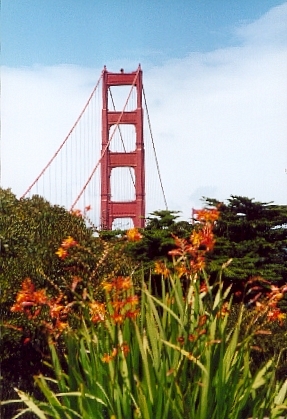 We will have a rest/refreshment stop at the Presidio Visitor's Center partway through the walk. 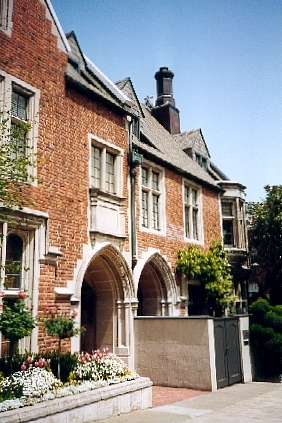 Pacific Heights West is one of the most exclusive neighborhoods in San Francisco. Broadway is often called "Billionaires Row". 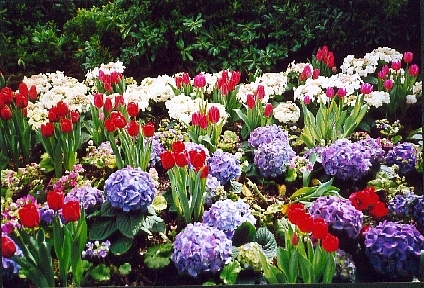 Join "On The Level" Marilyn Straka for an intriguing and educational walk of the area. The walk starts from the front door of the Drisco Hotel and offers incredible views, gardens in bloom year round and a look at the homes of the rich and famous. The tour is full of fun facts about the history, the designers and the early owners of the huge homes along the route. Learn the secrets of the current owners as well. 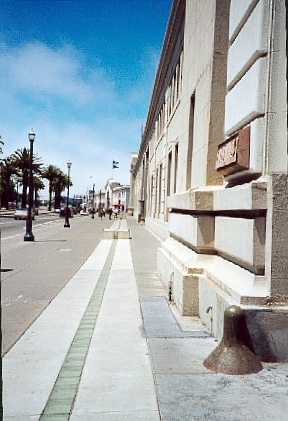 This walk of 8 city blocks follows a path along well-maintained city sidewalks and is enjoyable for all walking abilities. 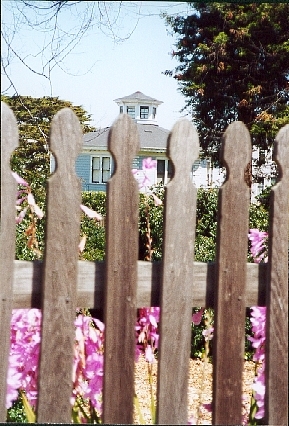 Come and experience a wonderful journey and fascinating insight into the Victorians of Pacific Heights and Cow Hollow. 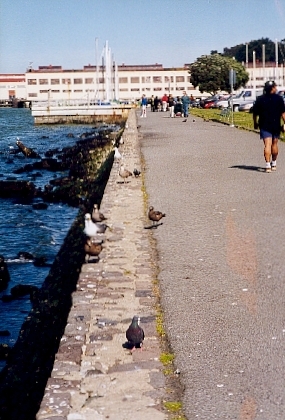 Marilyn Straka, long time Pacific Heights resident and owner of "On the Level Walking Tours", will be your guide. The tour begins at the beautiful Queen Anne Hotel. You will then stroll past over 100 beautifully restored Victorian homes and mansions. See the homes where the television series "Party of Five" and the movie "Mrs. Doubtfire" were filmed. Another highlight will be the oldest mansion in the area, the spectacular Casebolt home. 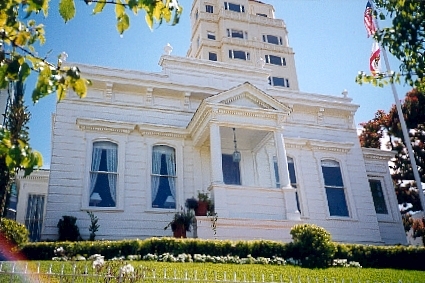 You will gain insight into the Tech industry with stories from Marilyn and you will take in the grand architecture and history of Pacific Heights. Ask to see the secret rooftop garden! Waterfalls in Downtown San Francisco? Rooftop gardens open to the public? Yes, to both questions! 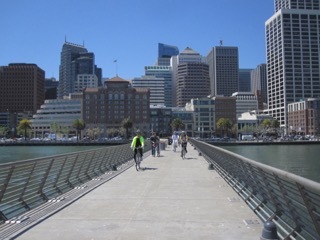 One percent of the funds spent on any private building in San Francisco must go toward public spaces. 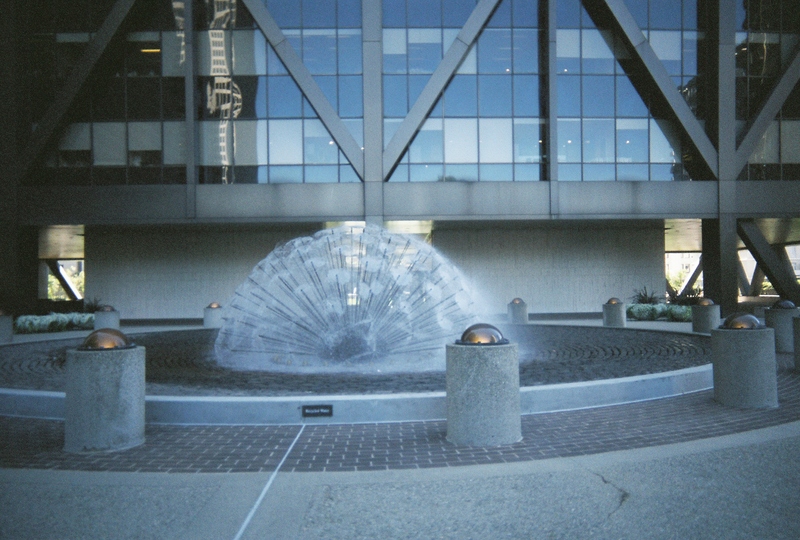 Sometimes this is an art exhibit in the lobby BUT sometimes it’s a waterfall (there are multiple water features along our route) or a rooftop garden (with a great view). Many are unknown to the general public. 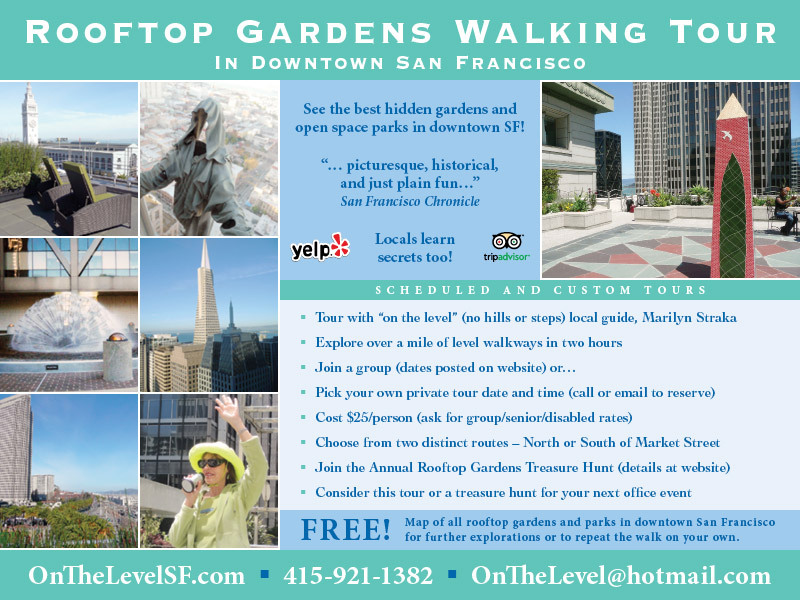 Join your guide, “On The Level” Marilyn Straka, for a mile-long walking tour of downtown San Francisco to see these hidden treasures. Click here for tickets and booking. Andy Goldsworthy has become famous internationally for his site specific art installations featuring materials from nature. 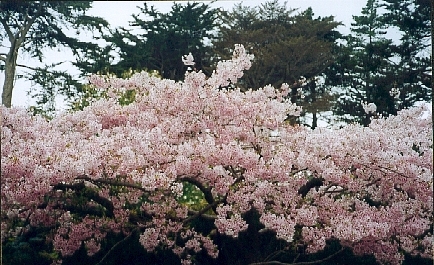 The Presidio is home to the largest collection of his works on public view in North America. 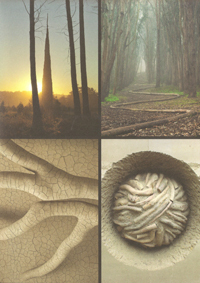 The art is designed using materials from the Presidio; they allow the viewer to experience the familiar in a new way! This is the insider's look at Andy Goldworthy art. On this tour, we will walk 2 miles to see Spire, Tree Fall, Wood Line and Earth Wall. 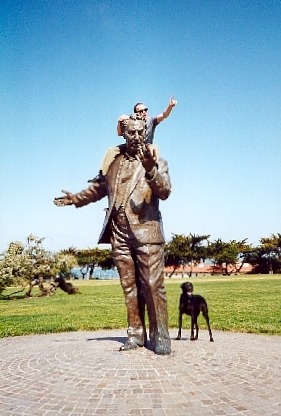 This tour can optionally be done with a car shuttle from site to site to minimize the walking required. Call Marilyn to create a tour that meets the needs of your group. 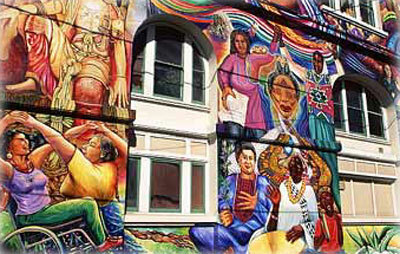 A unique offering from 'On The Level' - see the newest and best of San Francisco's 600+ stairways! 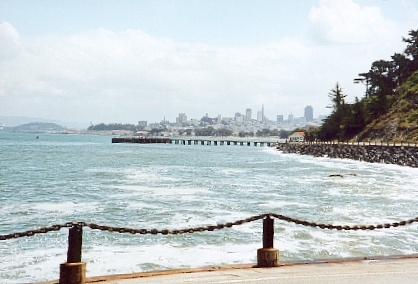 Many are in the heart of SF's most intriguing neighborhoods. See first-hand the challenges city residents face who live on the stairways and have no vehicle access. Also, see the beautifully landscaped gardens by the stairways and hidden parks, often maintained by the locals who live there. This is your reward for the climb!! 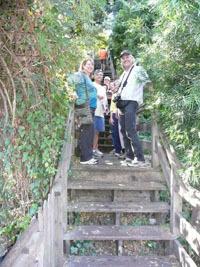 With 42 minor hills and 7 major hills to explore, each walk has ten or more stairways. 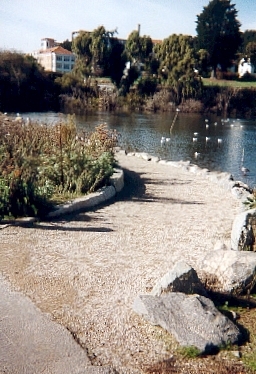 The length of the walk can be customized to your walking ability. Bonus: Based on a collaboration with author, Adah Bakalinsky, the well-known stairway guide, Stairway Walks in San Francisco, will be available for purchase at a discount. 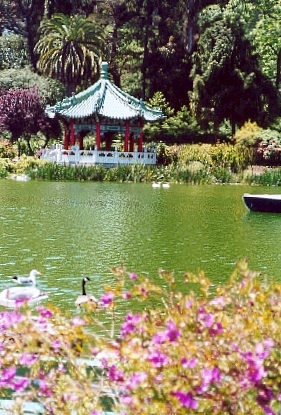 This walk can be followed by a neighborhood restaurant meal (not included in tour price). All tours are private: $35/person with a $150 minimum. Families are welcome. Offering 2 to 4 night trips to explore this national park gem. John Muir fell in love with Yosemite and you will too as we hike, bike, or tour via car, viewing huge granite boulders, rivers/creeks, wildlife and waterfalls. May is the best month to see the waterfalls at their fullest. Book one month in advance for lodging near park entrance. Book four months in advance for lodging within the park. Offering 2 to 4 night trips to explore the mountains and lakes around Lake Tahoe. Includes a visit to Squaw Valley, site of the 1960 Olympics and the Sierra Discovery Trail, an accessible trail with river access, waterfalls, forest and meadows. What a discovery! 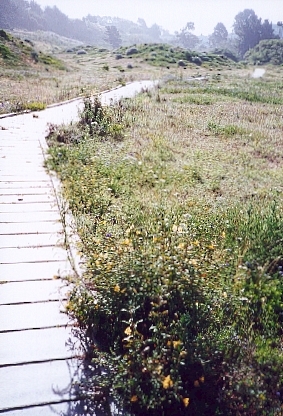 Offering 1 to 3 night trips to see the beauty and diversity of the Monterey peninsula. 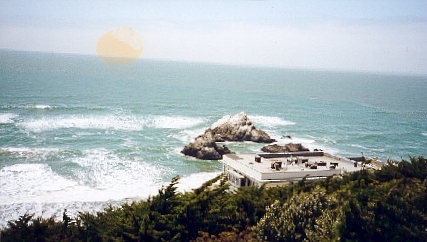 Tour includes 17-mile drive, Point Lobos Preserve and other hidden gems from Santa Cruz to Big Sur. From the East Bay, exit BART at Montgomery and walk ½ block south of Market on New Montgomery. Think family, friends, co-workers, holiday party idea! Call Marilyn at 415.921.1382 to book your date. All excursions available as guided walks. *indicates a self-guided booklet is also available and links to the walk description. The ON THE LEVEL locator map displays the locations of Excursions 1 through 20. Muni is San Francisco's mass transit system. When more than one bus/trolley line is given below, any of the routes can get you to the start of the walk. 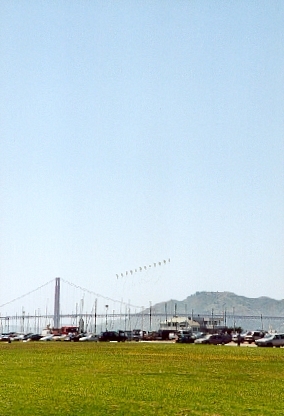 BART is Bay Area Rapid Transit and can bring you to San Francisco from many areas outside of San Francisco. Muni #22 - Fillmore and Marina Blvd. Muni #14 - Mission and Third St.
Muni #5 - Fulton and 36th Ave.
Muni #31 - Balboa and 36th Ave.
Muni #44 and #71 - Lincoln Way and 9th Ave.
Muni #N Judah - at 9th Ave.
Muni #38 - 48th and Point Lobos Ave.
Muni #42, 47, 49 - Van Ness and Union St.
Muni #29 - Lincoln and Bowley St. Note: Check a map for the exact location of these stops. The nearest stop may not be at the start of the excursion. Contact Muni or BART to obtain the latest information regarding special needs access.